Researchers must contact University Archives (http://library.buffalo.edu/archives/) to obtain reproductions of images and to request permission to use any image. Persons who publish or use this material in any manner assume all responsibility for identifying copyright holders and meeting any requisites for use. 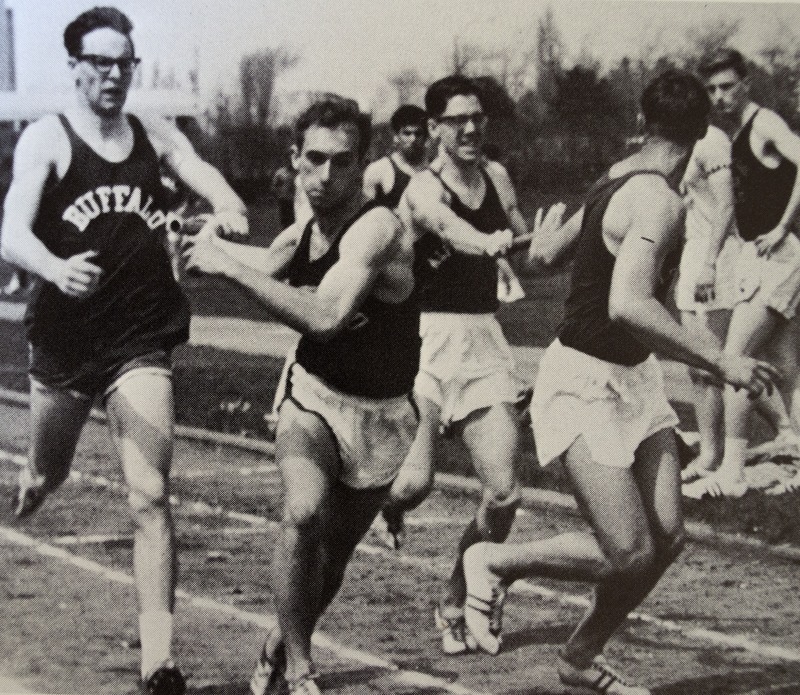 “UB Track and field relay team in competition, 1965-1966 season,” Digital Collections - University at Buffalo Libraries, accessed April 25, 2019, https://digital.lib.buffalo.edu/items/show/78314.